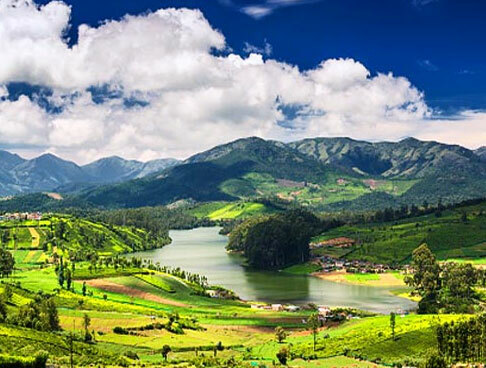 Kerala is an alluring destination which opens arms to all with its breathtaking sights and pleasing weather. The destination is an all-time favorite for every nature lover. The state is well-known for its beaches, tranquil backwaters and the houseboats. 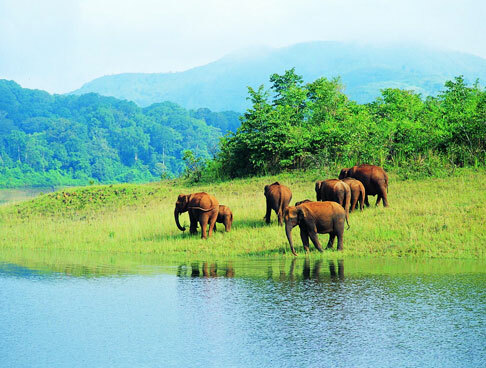 Indian Holiday brings you the best of Kerala through its Experience God’s Own Country – Kerala tour package. 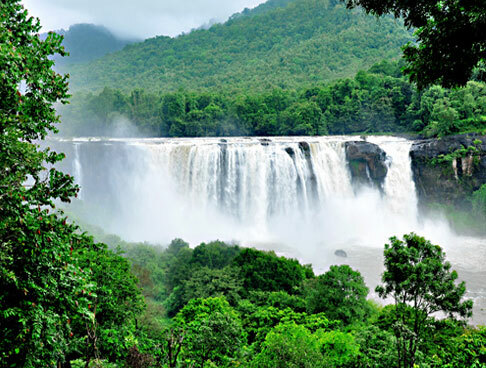 Visit Kerala and explore a great blend of natural beauty and tranquility. Enjoy water sports and the best Ayurvedic treatments. Pack up your bags and rush to God’s own country for a memorable experience. Here is a detailed itinerary for the tour. On reaching at the Trivandrum Airport, meet our IHPL representative who assists you while you drive to your first destination, Kovalam. Kovalam is a well-known beach town which offers breathtaking sights and pleasing weather. On reaching Kovalam, check-in at the hotel. 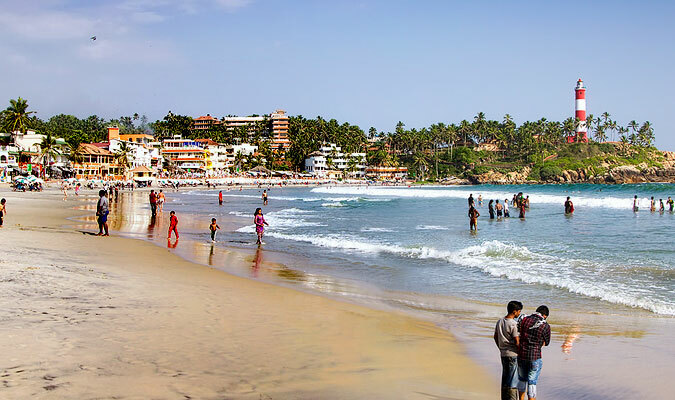 Spend the rest of the day at leisure or you can go for a stroll at Kovalam Beach. Kovalam Beach is the star attraction of Kovalam. The beach is famous for its water sports and lip smacking sea food. Explore the scenic beauty of the place and relish some sea food. Later, return to the hotel and have a comfortable overnight stay at the hotel. After having your breakfast in the morning, leave for a sightseeing trip to Trivandrum. Visit major attractions including Shri Padmanabhaswamy temple and Napier art museum and gallery. Shri Padmanabha Swamy temple is a famous temple dedicated to Lord Vishnu. The temple features a great blend of Kerala and Dravidian styles of architecture. The temple is also one of the richest Hindu temples in the world. Napier art museum houses a rare collection of archaeological and historic artifacts. There is also Sri Chitra Art Gallery in the museum which has works of Raja Ravi Varma and Nicholas Roerich. Later, head back to your hotel in Kovalam. Spend some time at leisure amid the beauty and tranquility of the Kovalam Beach. Also visit other attractions of Kovalam such as Lighthouse Beach and Padmanabhaparam Palace. Lighthouse beach is a beautiful beach, named after the 30 meter high light house standing in the middle. The beach offers captivating views of the surroundings which attracts visitors from across the world. Padmanabhaparam Palace dates back to the 16th century. The palace features Kerala’s original style of architecture. After sightseeing around the attractions, head back to the hotel and stay overnight. Munch some delicious breakfast and then go for a sightseeing trip of Varkala which is a small coastal town located at a distance of 51 km from Trivandrum. The place is well-known for its beaches. On reaching, check-in to the hotel. Later, leave for sightseeing around Varkala. 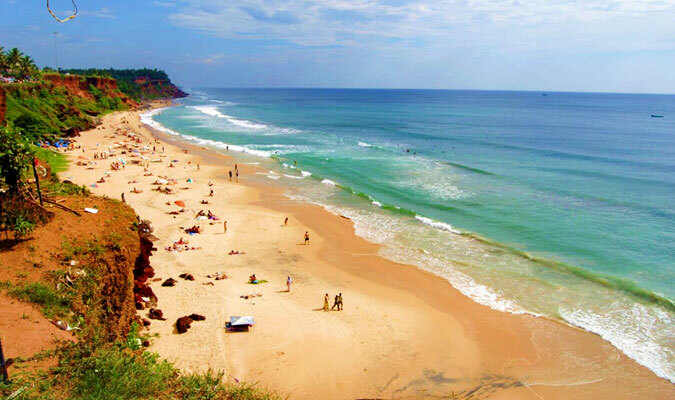 Visit famous beaches of Varkala including Papanasam and Edava Beach which are known to offer beautiful views of the surroundings. Enjoy a walk around the beaches and gather some special moments with friends and family. Later, you can also visit the ancient Janardhanaswamy Temple which is dedicated to Lord Vishnu. The temple was built back in the 13th century. Return to the hotel and have a comfortable stay at night. This morning, after having your breakfast, check-out from the hotel and start driving towards your next destination, Alleppey. 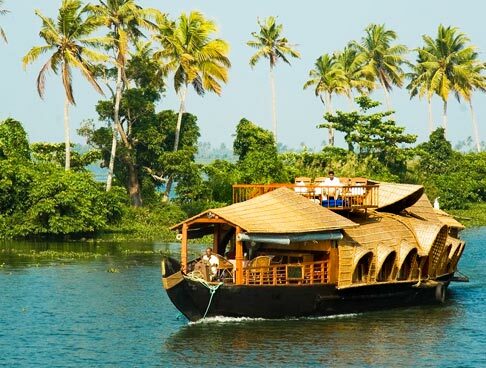 Enjoy backwater cruising in a traditionally decorated houseboat. Begin it with lunch and then explore the rare and spectacular views of the paddy fields, rustic homes and ancient temples. Enjoy lip smacking food onboard and enjoy a comfortable overnight stay in the houseboat. Enjoy your breakfast in the houseboat and then check out. Start driving towards Cochin. On reaching Cochin, check-in at hotel and take some rest. Later, leave for sightseeing around Cochin. Visit major attractions of Cochin including Chinese fishing nets along with Vasco Da Gama Square, Santa Cruz Basilica, St. Francis Church, Jewish Synagogue and Fort Kochi. 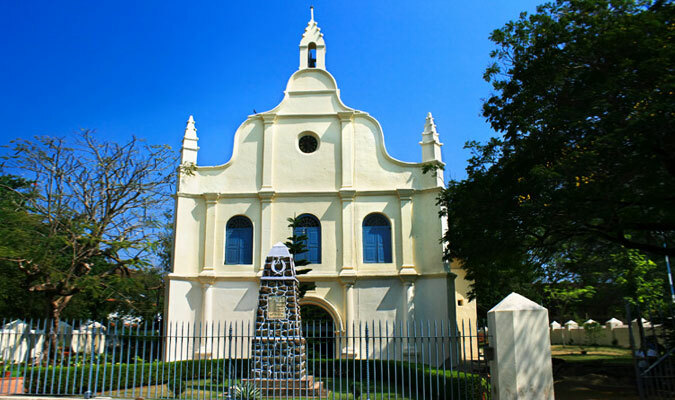 St. Francis Church was built back in 1503 and is the oldest European church in India. Fort Kochi is a major attraction of Cochin and it offers much in the name of food, art and history. 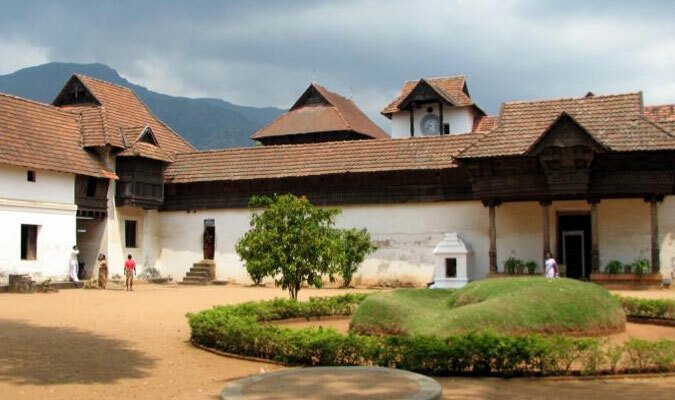 Explore the museums, palaces and temples at Kochi and take back a memorable experience. Later, return to the hotel and have a comfortable overnight stay. 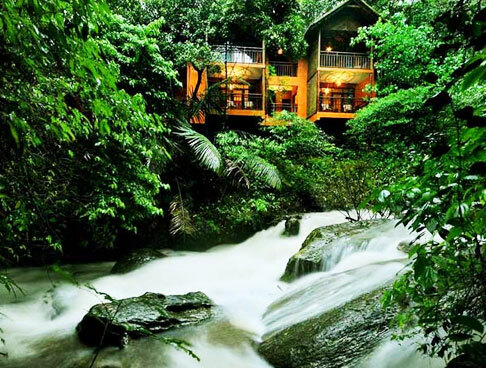 Devote this day to the leisures of Kumarakom. You can start with boarding the famous houseboats of Kerala, Kettuvalam and then cruise along the magical backwaters of Kumarakom. The region is gifted with a unique blend of lakes, lagoons, canals and rivers. 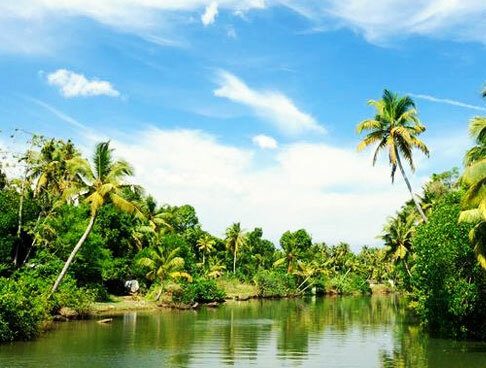 Besides, the banks of these water bodies are all filled with wide expanses of coconut grooves and rice paddies, making the sight highly captivating. You can choose to spend your night in the hotel or in the houseboat. 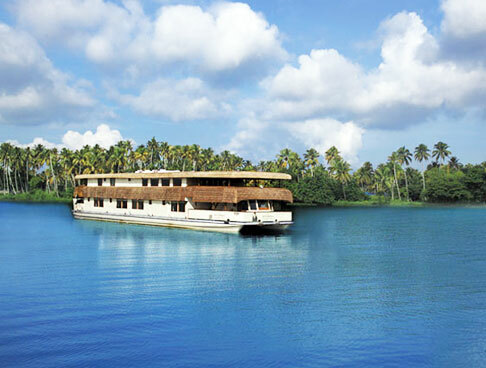 In order to make an overnight stay in the houseboat, Kettuvalam, you need to pay an additional cost.